Register now for NCFR's 2019 conference! Find details about registration options, hotel reservations, featured presenters, and more. 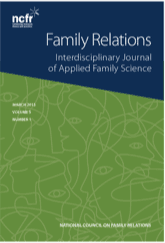 NCFR publishes three academic, peer-reviewed journals that feature top research from around the world about families. 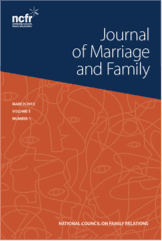 Current and archived journal content is available online. 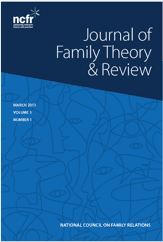 Explore a wealth of articles, syllabi, webinars, and other materials in NCFR's online library. section, focus group, and other colleagues. Take advantage of the practical tools NCFR offers to help advance your career. The Certified Family Life Educator (CFLE) credential, recognized internationally, validates your education and experience as a Family Life Educator. A family-related degree from a university or college program could be just the thing to jump start your career. Find the right program for you. Search for career opportunities in family-related professions, or post your organization's job openings to put them in front of qualified candidates. In this webinar, presenters Amanda Williams, Ph.D., and Jennifer Becnel, Ph.D., will guide webinar participants through research on AYA sexting. NCFR Fellow Bahira Sherif Trask, Ph.D. was an invited presenter at a side event of the 52nd Session of the Commission on Population and Development, held April 4, 2019, at the United Nations (U.N.). Dr. Trask serves as one of NCFR's representatives to the U.N., along with Mihaela Robila, Ph.D., CFLE. As a member of the NCFR community, you'll get access to exclusive professional content, receive discounts on NCFR products and events, build your professional (and personal!) networks, and find opportunities to be recognized for your work and accomplishments.